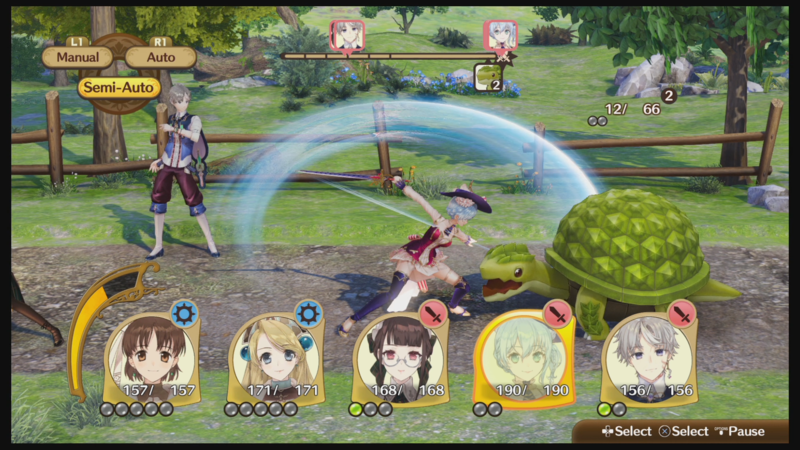 Nelke & the Legendary Alchemists: Ateliers of the New World will launch for the PlayStation 4, Switch, and PC on March 26, 2019 in North America and on March 29, 2019 in Europe. In Japan, it will release on January 31, 2019 and receive a PlayStation Vita launch, rather than make a PC appearance. NIS America will sell a Collector’s Edition for $99.99/£89.99, which will include a hardcover art book, the original soundtrack, a cloth poster, and a Nelke acrylic stand. This edition is only available for the PlayStation 4 and Switch versions of the game. A new trailer showcasing its battle system was also released today. In it, the party of five explores outside the city in the aptly named Bestial Forest, taking on various enemies themed around alchemy, such as mushrooms and cauldrons. Between fights, the party members converse with one another in Japanese (with English subtitles). From the long-running Atelier series, Nelke & the Legendary Alchemists is a town-building RPG where you take on the role of Nelke von Lestamm, a noblewoman who has been tasked with building the town of Westwald from a small village into a prosperous city. To fund the development, players can earn cash by running businesses and selling synthesized items. Resources needed for synthesis are collected outside of town through exploration and battling monsters. Those resources can then be taken to one of many alchemists in town who specialize in different fields.